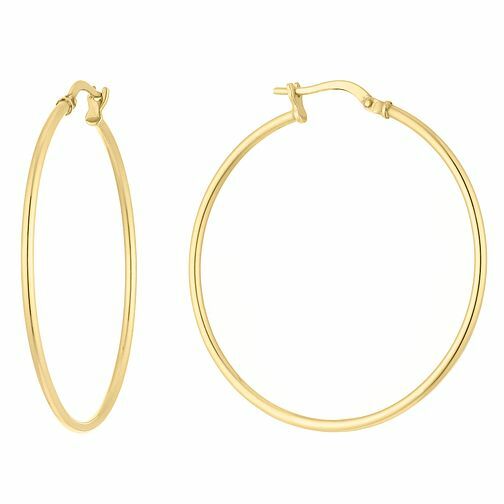 A pair of hoop earrings should be a style statement in every jewellery box. This classic pair of silver and 9ct yellow gold bonded hoops adds a touch of glamour for every occasion. Silver and 9ct Bonded Yellow Gold Creole Hoop Earrings is rated 1.0 out of 5 by 1.